When it comes to DAG you need to be more cautious in setting up the DAG environment, and there will be always misconceptions exist when it comes to design and deployment, and to overcome this Scott Schnoll has wrote a wonderful post which address the potential misconceptions in Exchange 2010 High availability and Site Resilience. You must read this Post if you want to know more on DAG and plan your environment accordingly , if you are planning for a Highly available solution with DAG and undertaking Disaster Recovery setup then this post is the first one to read. 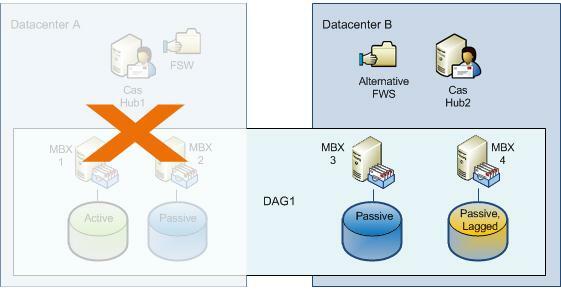 With Exchange Server 2013 High availability solutions is further improvised which is quite different than the one mentioned here with respect to 2010 and now its possible for us to have a single Namespace, No CAS dependency and also possibility to host witness server in 3rd well connected Data center and achieve a true "Data Center Fail-over" experience. 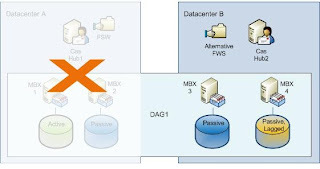 More on this provided in the below TechNet article in detail comparing with Exchange Server 2010 for easy understanding.